Multipurpose Flexible PVC Tube for Plumbing Pond filters and water pumps. Durable reinforced pvc,Resist crushing ideal for under ground installion. Easy to connect, disconnect and replace for convenient pond plumbing.Reinforced PVC pipes resist crushing yet flexible enough for convenient handling and installation. 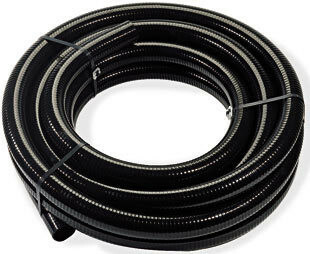 Connect the multipurpose PVC tubing to pond filters, fountains, and other pond equipment to transport water from your water pump.